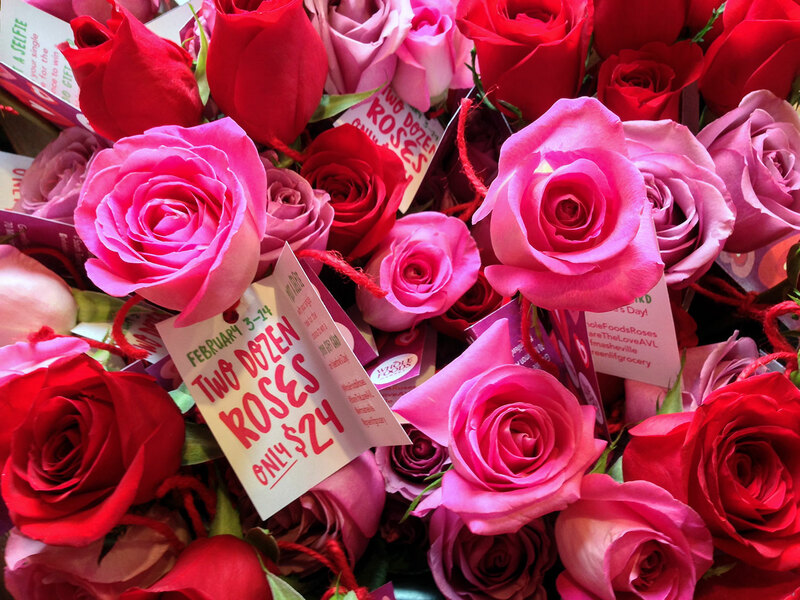 Valentines were designed as a field marketing technique for Whole Foods Market Asheville. 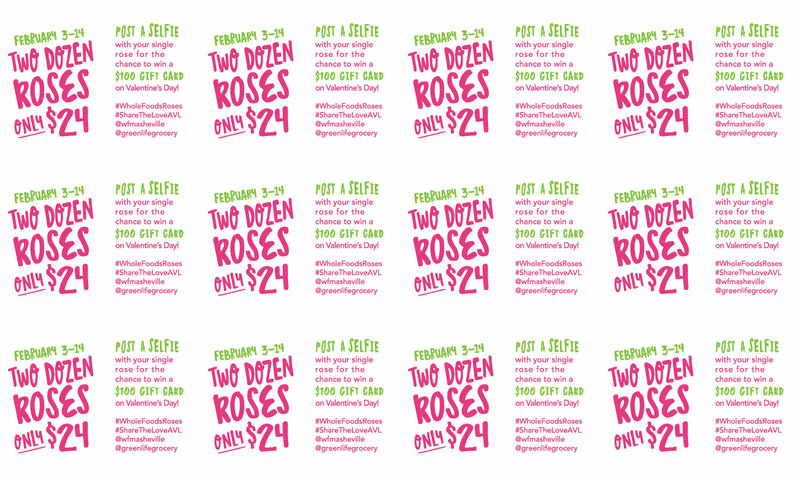 These cards were distributed to promote the sale of double dozen roses and increase marketing exposure during February 2016. 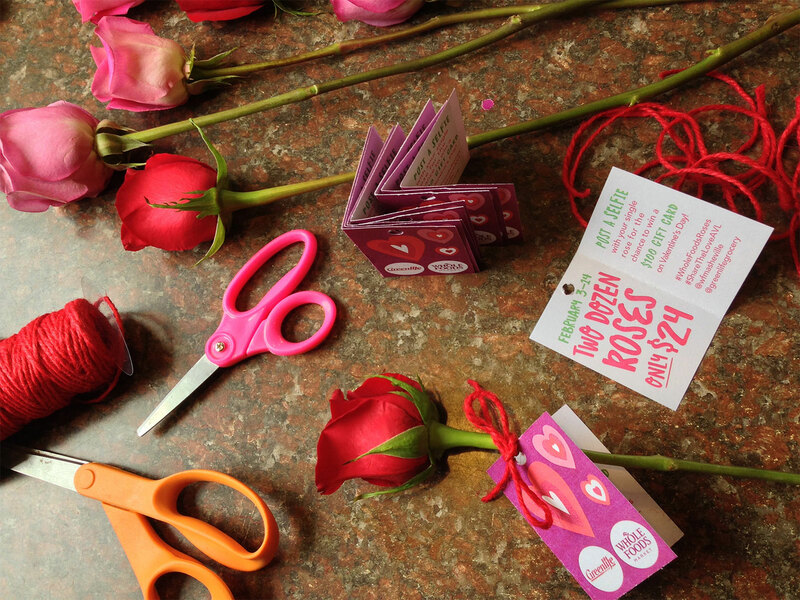 Bold pink, red, and fuchsia Valentines were tied to individual roses and distributed on windshields around Asheville. 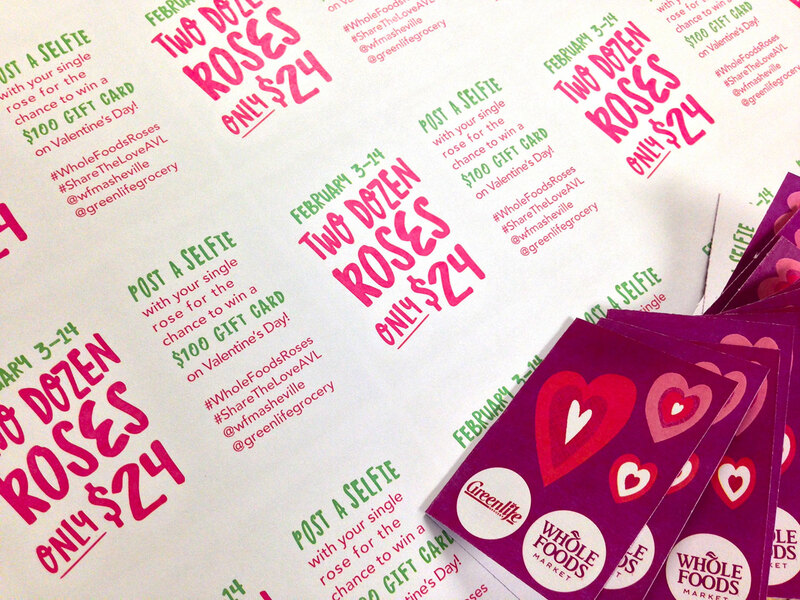 An increase in Whole Foods Market site traffic was generated using a raffle in conjunction with social media. 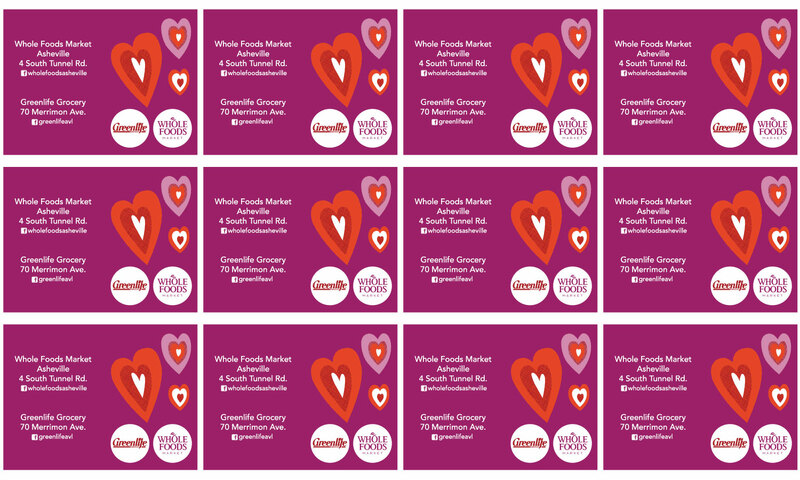 Card copywriting by Caitlin Forde-Smith.